Jillian Harris and longtime love Justin Pasutto are headed to the altar. The 36-year-old former "The Bachelorette" star announced her engagement Sunday on Instagram after spending Christmas morning with Pasutto and their son, Leo. "Well THAT was SOME Christmas morning!!!!! OH MY GOD my heart cannot handle this much LOVE! @slipperygoose you've made me the HAPPIEST girl in the world. #Finally #ISimplyAskedForOneThingForChristmas," she captioned a photo of herself with her family. Harris followed up the next day by posting a picture from her breakfast in bed with Pasutto and gushed about her husband-to-be in the caption. The family was staying at the Opus Hotel in Vancouver, B.C. "Oh you know. Just having breakfast in bed with my "FIANCE" @slipperygoose @opushotel," she wrote, adding "OK," engagement ring and heart emojis. Harris and Pasutto have been together for four years and welcomed Leo in August. The television personality had announced her pregnancy and shared details about her relationship in a blog post in March. "Justin and I have been together for almost 4 years now, and he will tell you I started talking about babies on the first date (NOT TRUE JUSTIN!!! It was the second date I clearly remember lol)," she wrote. "But truly, I was 32 when we met, and Justin was fresh ripe 24." 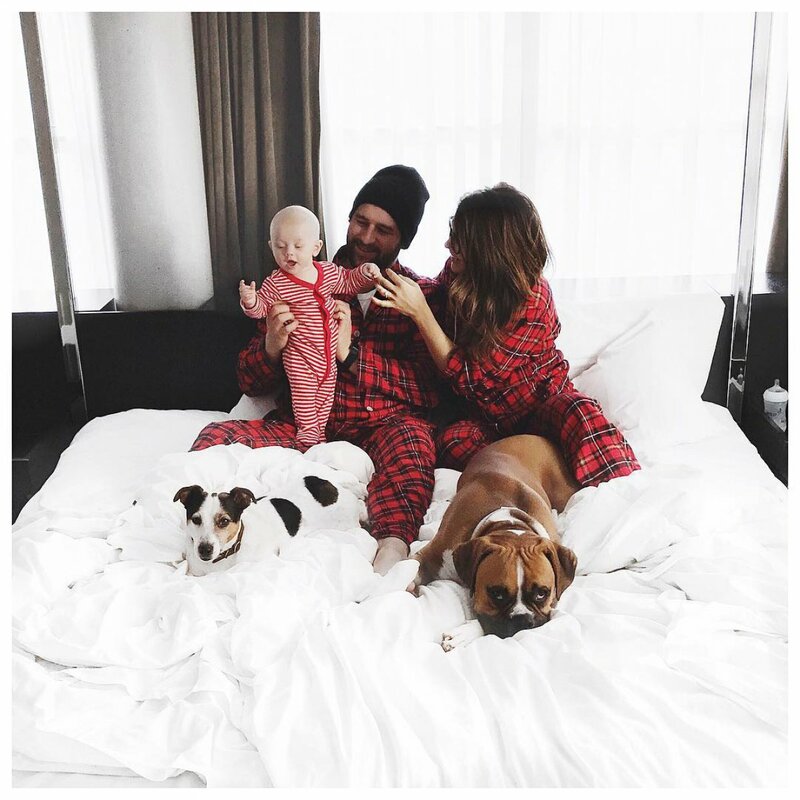 "The topic of babies was always front and center in our lives, and I waited patiently for Justin to 'catch up' in age to me... and confidently tell me he would be ready. We both decided the year I turned 36 would be prime time... [and] we found out 12 days before my 36th birthday," the star revealed. Harris is known for competing on "The Bachelor" Season 13, and went on to star on "The Bachelorette" Season 5. She presently hosts the HGTV series "Love It or List It Too" with Todd Talbot.